Grand Steel is conveniently located 30 miles northwest of Detroit in Wixom, MI. 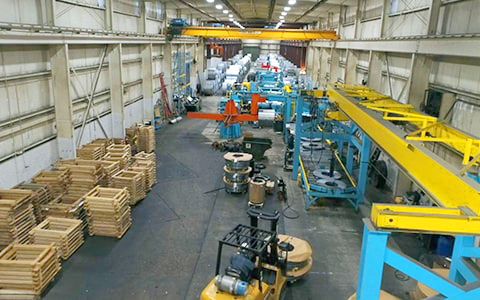 Our 50,000 square foot climate controlled facility is home to our 72″ slitting line as well as our corporate offices. From here, we serve an array of markets, including automotive, agriculture, construction and mining.